Posted on January 27, 2015 by staceyanderton1	in Features and tagged Dance, Key Club, SHS. 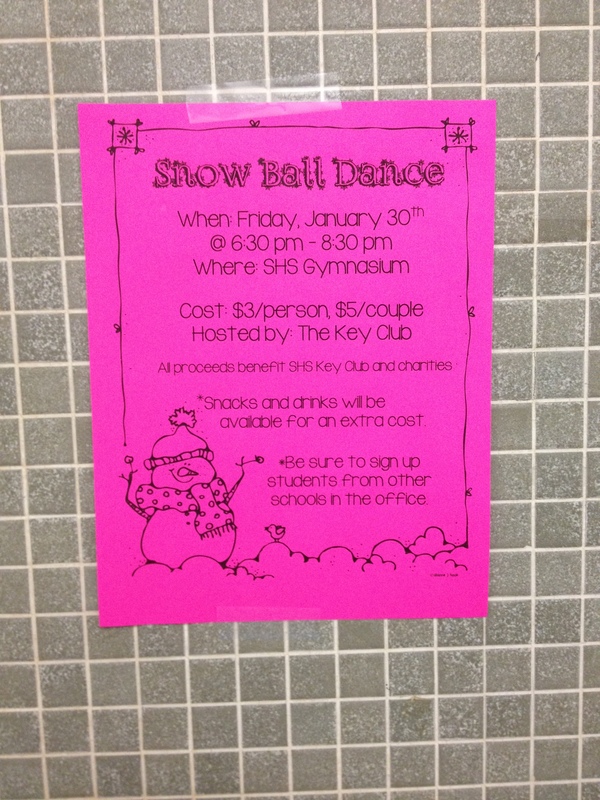 Don’t miss out on the SHS Snow Ball Dance this Friday! Need something to do to beat the winter blues? The Key Club will be hosting a Snow Ball Dance on Friday, January 30 from 6:30 to 8:30 p.m. in the Saegertown High School gymnasium for all students in grades 7-12. The gym will be decorated for the occasion with a winter theme. Cost will be $3 per person or $5 per couple. The dance is informal; you may wear any appropriate type of clothing that you wish. The proceeds from the dance will benefit the SHS Key Club and charities. Snacks and drinks will be available for extra cost. You may bring students from other schools, but they must be signed up in the office. Ben Haylett is going to DJ the event while using equipment provided by Mr.Youngblood. “Students from grades seven to twelve are coming, so we’ll have a diverse group. It’s going to be a ton of fun!” says Key Club representative, Sydney Kightlinger.